Michelle has just created a post about what to do if you only have 48 hours in Prague. I love it. It’s a wonderful post. But it got me thinking about what you would do if you only had 48 hours in Istanbul, and the only thing I could come up with was an admonishment: “plan for more than 48 hours!” It’s Istanbul, it’s not Orlando. But then, that’s not really fair of me, is it? Anyway, if I had to narrow it down to my three favorite things in the city, I know what they would be, although the order I put them in changes depending on which place I’m currently standing in. 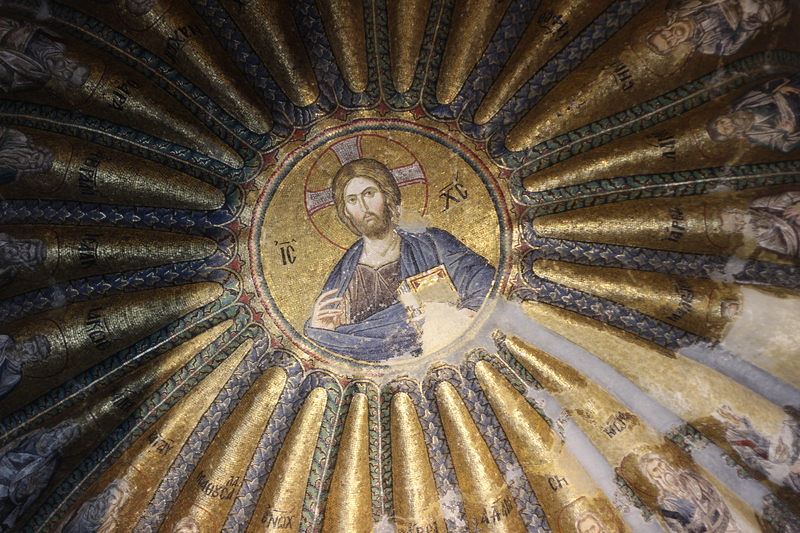 They are: Hagia Sophia, the Landward Walls, and Holy Savior in Chora. So even if all you’ve got is a couple days, you owe it to yourself to get to Chora. What and Where is Chora? 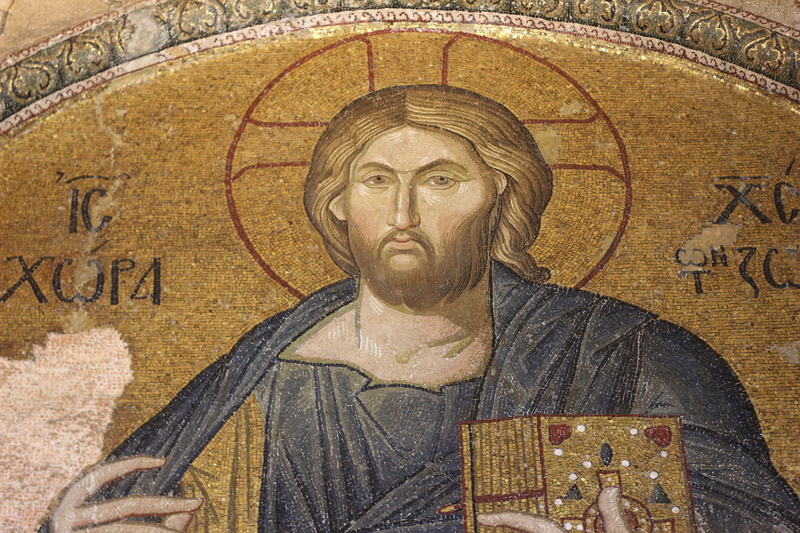 The rather severe Christ Pantokrator. Of course, it hasn’t been in the countryside for at least a millenium. The city grew up around it, the walls first, then the palace, then Ottoman Constantinople, then modern Istanbul. If you’re looking for it today, you’ll find it in the Edirnekapı part of Fatih, or the Old City. Getting there isn’t the easiest thing in the world, but there are multiple options. The T1 tram will get you to Topkapı, and you can walk along the walls from there. If you can get to Fevzi Pasha Caddesi near the University, taking a bus up to Mihrimah Sultan is probably fastest. Buses run up the Golden Horn Road (Kennedy Cd./Abdulazizpasha Cd.) towards Eyüp from Eminönü very frequently – get off at Ayvansaray and walk up along the walls. The “scenic route,” and my favorite, is taking the Haliç Hattı from Karaköy or Eminönü up to Ayvansaray. In most of these cases, you’ll have a good excuse to walk along the walls and maybe even seen what’s left of Blachernae. When you get to the building, don’t expect to be overwhelmed. This is not a church on the scale of Hagia Sophia. Not even close. The current structure is a cute little late-Byzantine inscribed-cross church. When I last saw it, its outer structure was covered in scaffolding, and the nave was closed. But most of what you want to see is in the exonarthex, narthex, and parakklesion. 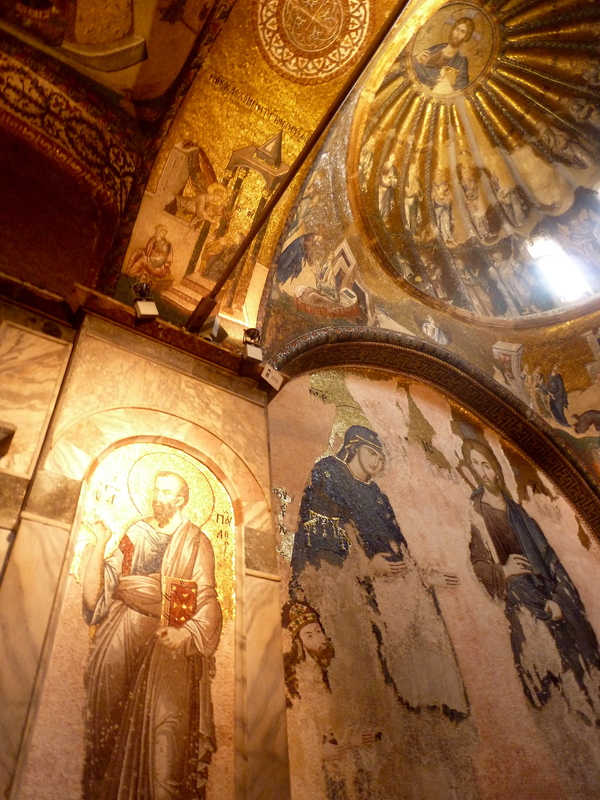 What Will I See in Chora? 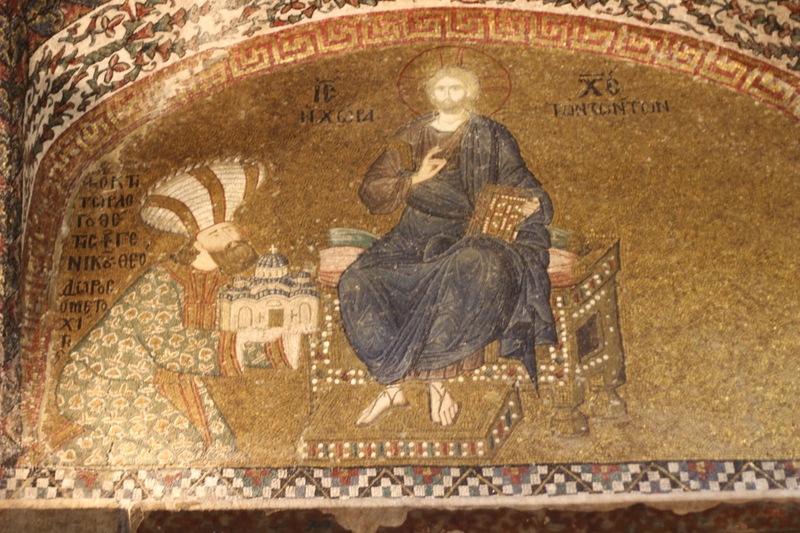 Theodore Metochites, offering his church to Jesus. And we offer our thanks to Theodore. From foundation to dome, this building is all about the art. 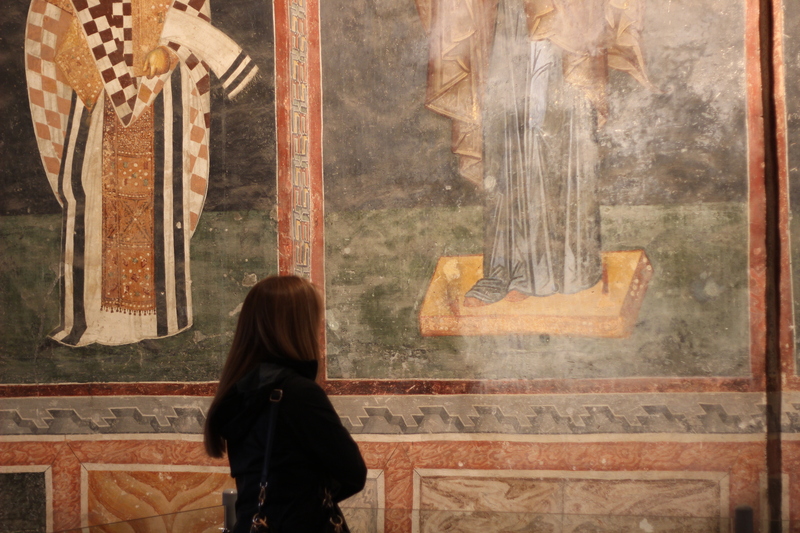 Some of the best mosaics in the world are here, and some pretty amazing frescoes thrown in, because why not? The nave is surprisingly barren, but don’t miss the “Dormition of the Virgin” above the door from the inner narthex (if it’s open by the time you get there). In any case, most of the action is outside the nave, and while the mosaics follow a storyline concerning Mary and Jesus, it is worth it to take a gander at the man largely responsible for all this: Theodore Metochites. That’s him in the inner narthex presenting a model of his church to the enthroned Jesus. He’s wearing the snazzy turban. You can’t miss him. Theodore was a high official in the empire of the Palaiologan dynasty, and he donated a large amount of his personal fortune to have this church repaired and fitted out with the art you see today. Maybe whisper a word of thanks to ol’ Ted when you pass by. You won’t be the first. While you’re at it, you may want to acknowledge the modern, secular Turkish state for their correct decision in preserving this place as a museum, and the diligent work of the restorers, who began their labors in 1948 and took many, many years to ensure that the museum is in the amazing condition it is in today. 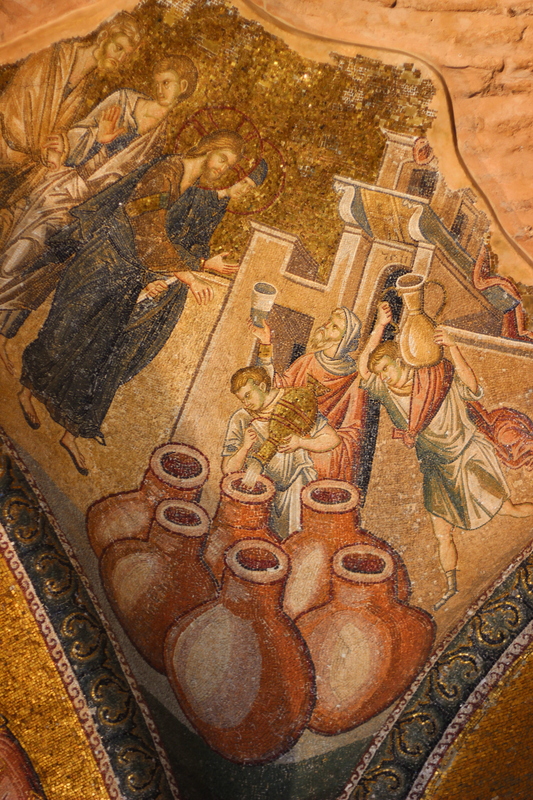 I highly recommend you pick up a guide to the mosaics before you dive in, but if you trust your Greek and/or your knowledge of the traditional stories of Mary and Jesus, it’s possible to follow along by starting in the northern section of the inner narthex. Find the scenes with Joachim and Anne, and you’ll soon be led to the birth of Mary, her presentation to the Temple, her marriage to Joseph, and ultimately the Annunciation. From here, the story of Jesus begins, and it includes the outer narthex as well. The Jesus story is something of a mashup of the synoptics. It includes the stories of the enrollment for taxation and trip to Bethlehem, the Matthew-derived journey of the Magi, the flight into Egypt, and the massacre of the innocents, but also the Luke-derived relationship between Jesus and Mary, and John and Elizabeth. The story does not conclude with the passion and death, but instead cuts off during Jesus’ public ministry, with several illustrative miracles back in the inner narthex. Healing a leper. He doesn’t look so good, does he? 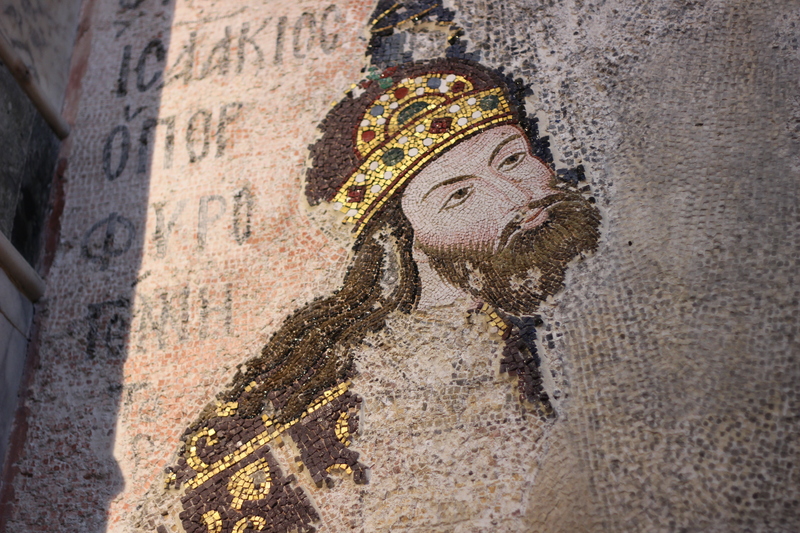 Also in the inner narthex are a rather severe-looking Pantokrator, some lovely, gold-heavy renderings of Ss. Peter and Paul, and a partial Deesis on the eastern wall, near the parakklesion. Make sure to look for Isaakios Komnenos and Melane hanging out plaintively with Jesus and Mary while souls are apparently being judged. 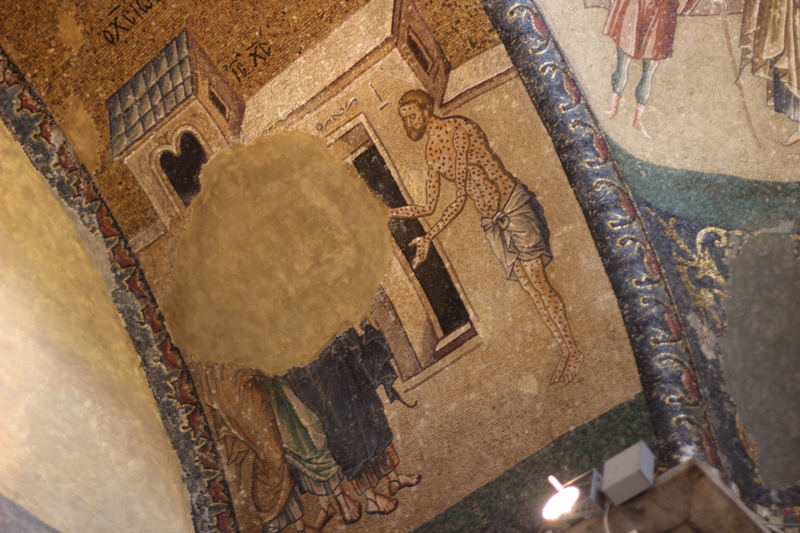 It’s also at this point that you can get closest to the mosaics themselves, and this is what truly sets Chora apart from other places, like Hagia Sophia – not better, perhaps, but different. 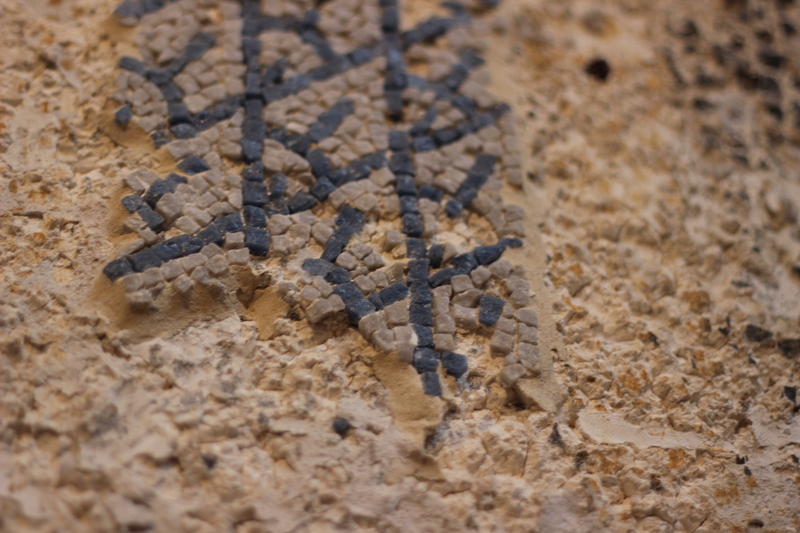 The mosaics are at eye-level. You can literally reach out and touch them. (But please, please don’t.) It seems doubtful that you’d be able to get this up close and personal to this kind of thing anywhere else in the world. Of course, we’re not even finished! As with many things in Istanbul, you’re missing out if you don’t look up, so crane your neck and check out the domes, decorated wonderfully from their ribs to their capstones. 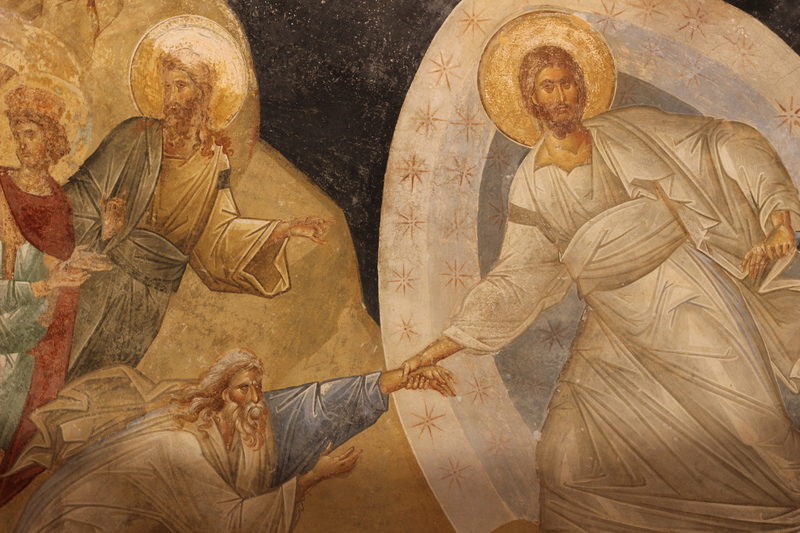 Then saunter over to the parakklesion (south end of the church, perpendicular to the narthexes) to see some fresco. You’ll see numerous bishops and saints, some of whom are a bit worn, but some of whom are quite clear in figure and inscription. Make sure you notice the incredible Anastasis in the half-dome at the very end of the parakklesion. And again, don’t neglect the ceiling. It would take quite a long time to go through the pieces one by one. I may at some point in the future. But for now, I hope you enjoy the pictures I have posted. The partial Deesis and Paul. You can see Isaakios on the Deesis panel. This is at 50 mm, so not even zoomed in that far. It’s just how close you can get. Incredible! Make sure you look up.